Car sharing platform Drivy has appointed its first head of UK and gone nationwide following a successful launch in London. Developed to enable drivers to rent out unused vehicles to private or business travellers, the Drivy scheme launched late last year in the Capital, where it has 500 cars already. It’s now in the process of expanding across the UK – targeting business cars as well as privately owned vehicles with the help of technology. Using the Drivy app, people can browse and instantly book a nearby car, unlock it with their phone through Drivy’s Open technology, and use it anywhere from a few hours to a few days. Fully comprehensive insurance is provided by Allianz with 24/7 breakdown assistance from the AA. The fleet service builds on this through an account management team who can provide support on pricing and offer assistance. 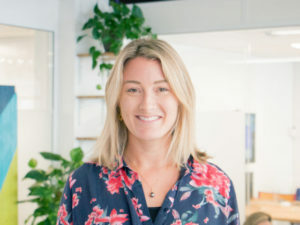 To pilot its nationwide expansion strategy, Drivy has appointed Katy Medlock as its first head of UK to spearhead the company’s growth and allow car and fleet owners all over the country to list their vehicles on Drivy. Medlock brings with her 10 years’ experience of consumer marketing and leadership in the transport and leisure industry.